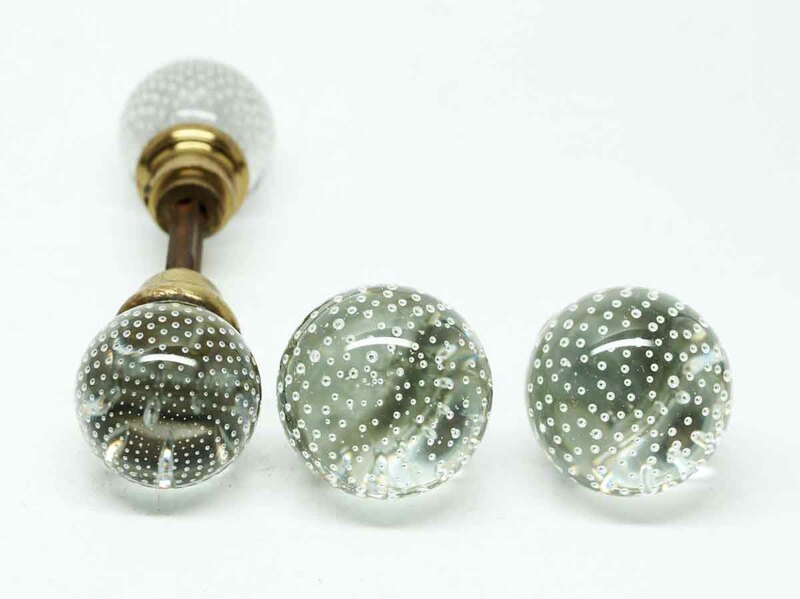 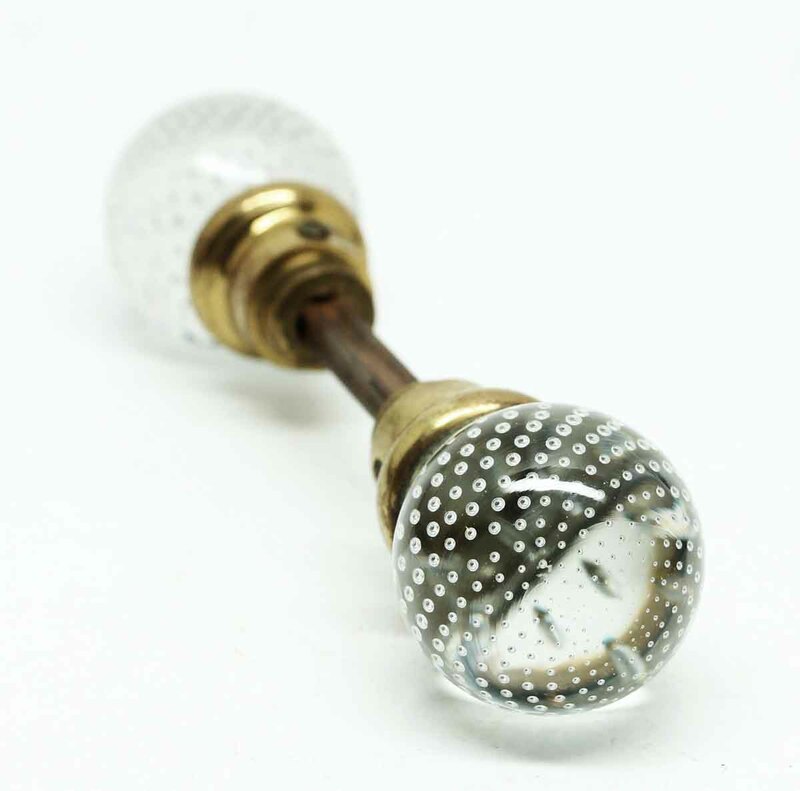 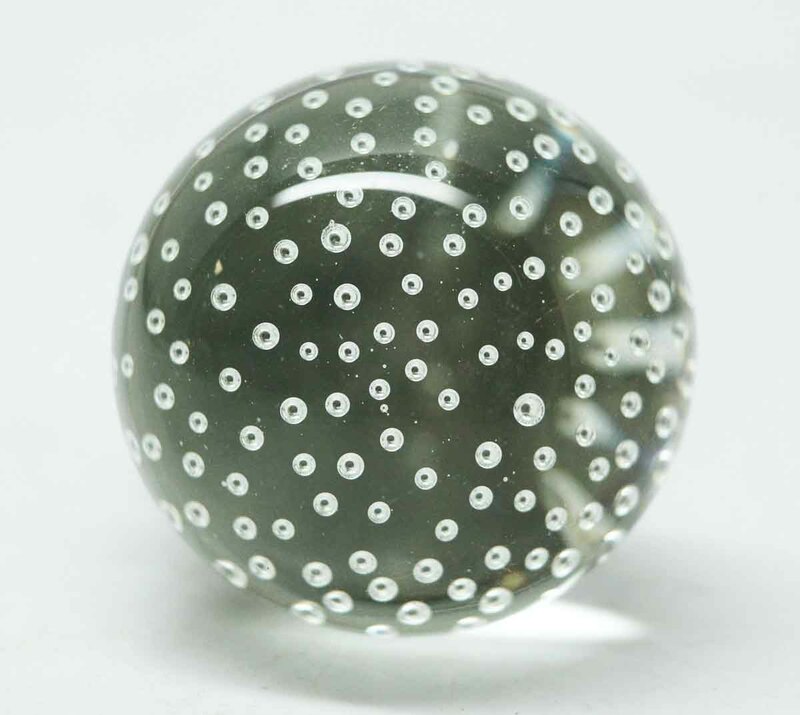 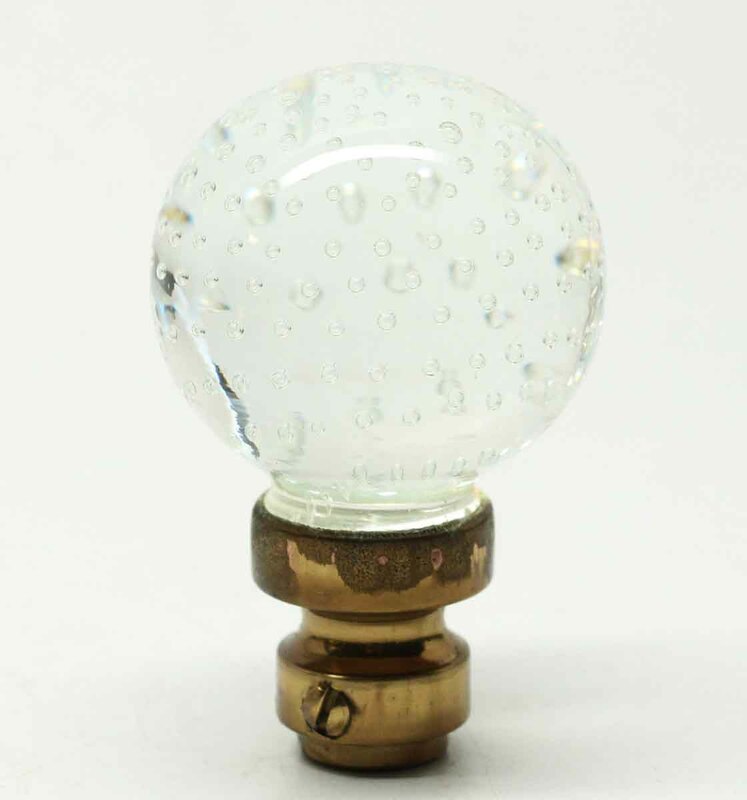 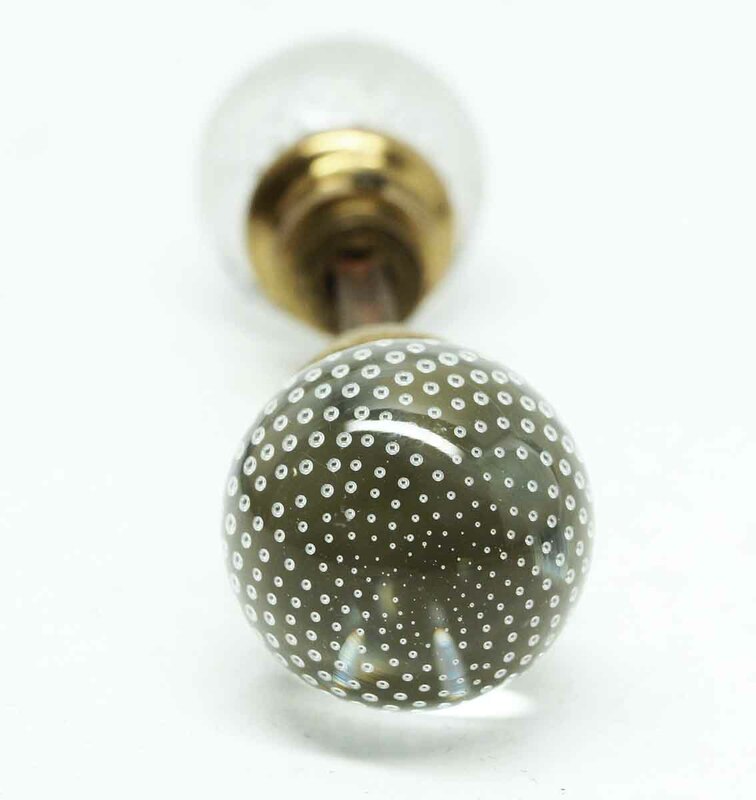 This set is hard to find Pierpont glass knobs. 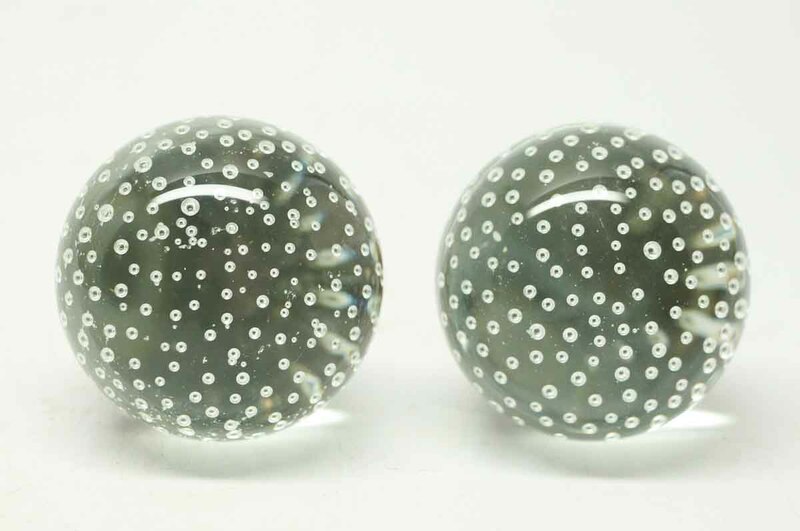 They originated mainly in the Boston area and gave a statement of affluence if you were the proud owner of them. 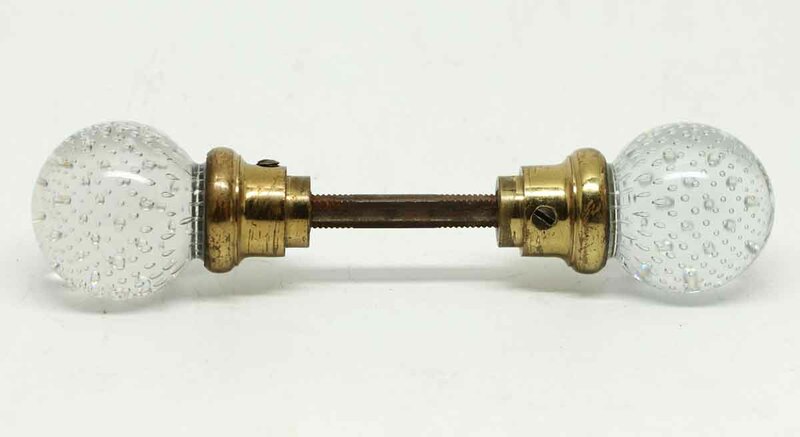 Both pairs have brass shanks.